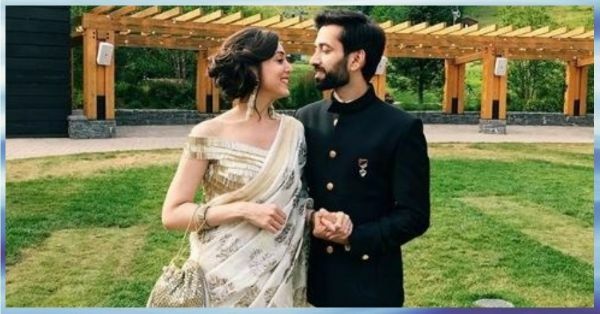 Nakuul Mehta & Wifey Jankee Brought Their Desi Swag To A Wedding In The USA! Girls, isn't Nakuul Mehta totally drool-worthy? For those who don't know who he is, he's an actor who has taken Indian television by storm with his with his acting and dancing skills. But he had all the girls going gaga over him for his role as the dreamy Aditya Kumar in Pyaar Ka Dard Hai Meetha Meetha Pyaara Pyaara. But ladies, hands off cause Nakuul is already married to the gorgeous Jankee Parekh and OMG, these two are such sweethearts! They recently went to the states for a wedding and looked so stunning together. This much hotness together should be criminal! These two obviously can't take their eyes off of each other and strike that very filmy kheton ke beech mein pose. Raj from DDLJ would be proud. Also white for a day wedding, a hundred times yes! Glam, chic and classic! The Ishqbaaz actor also shared a picture of his wife twirling in her lehenga and boy, she can put any B-town actress to shame. Her outfit is designed by Shivani Shirali and the lehenga features intricate chikankari and mukesh details and has been teamed with a gold blouse. 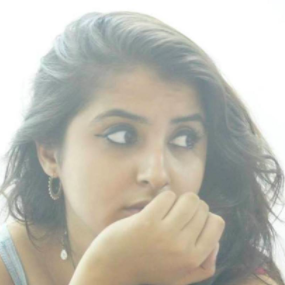 She accessorised the look with kundan jewellery and voila, shaadi ready! Look at this dapper couple. They even shared a picture hugging each other at one of the functions. Jankee was seen wearing an off-white saree with golden motifs along with a jazzy golden blouse to up the glitzy quotient.